Schuyler’s personal size edition of the KJV Canterbury is in the editing stage and they hope to have it available in spring 2018. This edition will be red letter. They’ve retained the red drop caps. This edition will have thinner paper than the regular edition and will not include a concordance. It will include maps. The glossary will depend on how small the font becomes when they shrink it. I suspect it will be too small to be useful. Time will tell. You can read our review of the regular Canterbury in calfskin here. 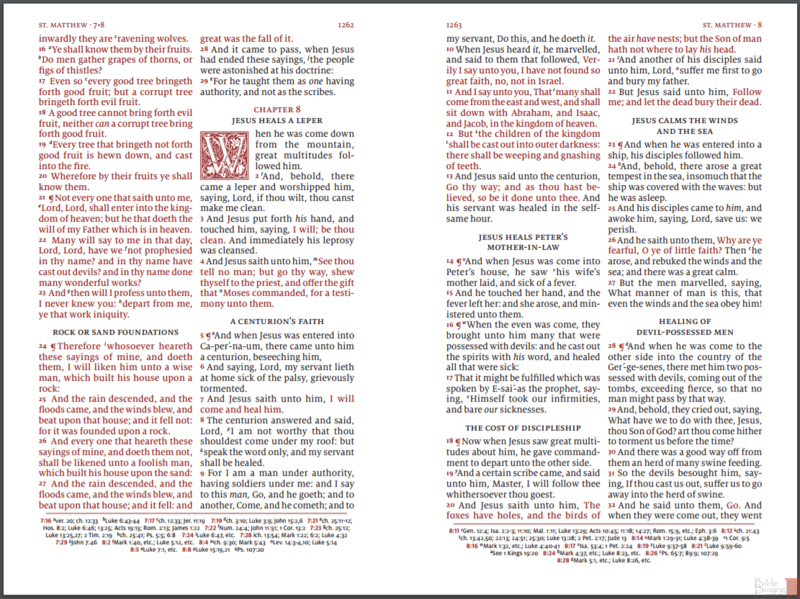 You can purchase a Canterbury or other Schuyler Bible at EvangelicalBible.com. Hey Randy, what do you say that you and I design our own Bible. I’m thinking KJV Paragraph format with a 10/11 point font. The text block will be centered with a 1.25 margin all the way around! ?